Editor's Note: This article was originally timed with the week-long Godzilla Fest at the Castro Theatre in November 2004. Being a San Francisco event, it was more than a little bit out of our jurisdiction; however, the festival was (with a few exceptions) essentially the same as the American Cinematheque's Godzilla festival, which had played at the Egyptian Theatre in Hollywood in July, a short time before Hollywood Gothique began its long and illustrious career, covering horror, fantasy, and science fiction events in Los Angeles. The timing of the Castro's festival provided an excuse to use material that we had gathered in the weeks and months prior to our website's debut. Also, Godzilla was very much on our minds, because Toho Studios had announced their plan to promote their latest - and at the time, last - film in the series: GODZILLA FINAL WARS was scheduled to premier at Grauman's Chinese Theatre in Hollywood, and Godzilla himself was set to receive a star on the Hollywood Walk of Fame on November 29 (which honorary mayor Johnny Grant proclaimed "Godzilla Day"). In honor of these events, we posted this article about director Masaaki Tezuka, who had directed three of Toho's recent Godzilla films: GODZILLA X MEGAGUIRUS, GODZILLA AGAINST MECHAGODZILLA (2002),* and GODZILLA TOKYO SOS (2003). After GODZILLA 2000, which was directed by series veteran Takao Okawara (GODZILLA VS DESTROYER, etc), Toho Studios, the company behind the world's most famous radioactive reptile, was looking to breath fresh air into the franchise, so they entrusted GODZILLA X MEGAGUIRAS to Masaaki Tezuka. The first-time director managed to make the film feel reasonably fresh and entertaining because of its fast pace and fanciful military-scientific hardware. The film featured faster action in the battles and more physical contact between the monsters. (In one infamous moment, Godzilla body-slams his opponent by leaping in the air and falling on the prone Megagairus—a tribute to Tsutomu Kitagawa, the stuntman inside the Godzilla suit, who performed similar action for TV shows like DYNAMAN an POWER RANGERS). All of these characteristics, with some variations, would persist in Tezuka’s subsequent two Godzilla films. Tezuka had to work hard to maintain a high level of quality on the film, thanks to budgetary problems that plague the Japanese film industry, which has never regained the heights it achieved in the 1950s and 1960s. In particular, Tezuka found it difficult to recreate the familiar panicky evacuation scenes of the civilian population fleeing before Godzilla’s onslaught. Ironically, despite putting Godzilla somewhat more clearly into the antagonist category, Tezuka admits that he always rooted for Godzilla when watching the old films as a child. Apparently, the attitude rubbed off on his star: ‘The actress in [GODZILLA VS. MECHAGODZILLA], Yumiko Shaku, even though she was playing the operator for MechaGodzilla, during the film she started to root for Godzilla,’ Tezuka said. 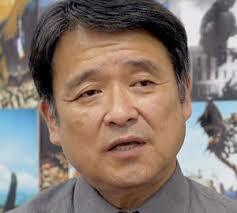 After GODZILLA AGAINST MECHAGODZILLA, Tezuka had to sit out the next Godzilla film, which was given to Shusuke Kaneko, who had directed the much-improved Gamera films for rival studio Daei in the 1990s. The result was GODZILLA, MOTHRA, KING GHIDORAH: GIANT MONSTERS ALL-OUT ATTACK, a stand-alone film with a redesigned Godzilla that ignored all the recent films and created its own mythology. 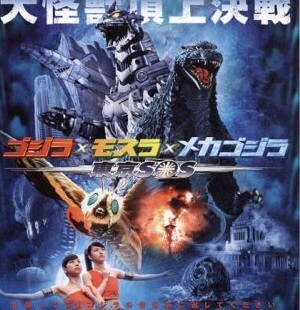 Tezuka returned to the director’s chair with GODZILLA TOKYO SOS, which was a direct sequel not only to GODZILLA VS. MECHAGODZILLA but also to the original MOTHRA, with actor Hiroshi Koizumi returning as Dr. Shinich Chujo. In another amusing piece of continuity, Godzilla’s presence off the coast of Japan is first suggested when the dead carcass of a giant sea turtle washes ashore, obvious killed by something even bigger that itself. The visual joke is that, at first glance, the turtle appears to be Daei Studio’s rival monster Gamera, but it’s actually from a less well-known Toho production, 1971’s SPACE AMOEBA (known in the U.S. as YOG, MONSTER FROM SPACE). 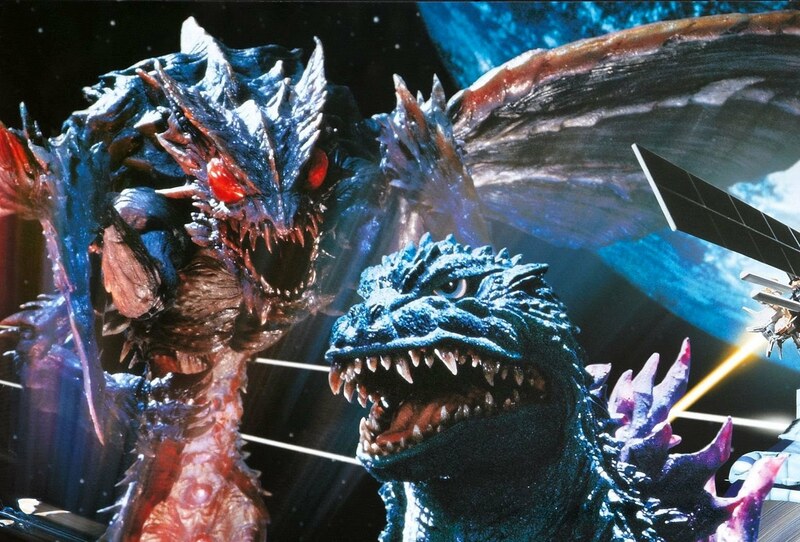 With its exciting actions sequences and improved screenplay, GODZILLA TOKYO SOS is probably the best of Tezuka’s three Godzilla films, even if it is not as distinctive as Shusuke Kaneko’s GODZILLA, MOTHRA, KING GHIDORAH: GIANT MONSTERS ALL-OUT ATTACK. It’s the high note in what may be Tezuka’s swan song with the Godzilla series. Toho handed next film, GODZILLA: FINAL WARS, to up-and-coming director Ryuhei Kitamura, and its apocalyptic multi-monster scenario promises to be the last Godzilla film for the foreseeable future. The somewhat awkward title is an attempt to distinguish GODZILLA AGAINST MECHAGODZILLA from two previous Toho films title GODZILLA VS. MECHAGODZILLA.